You can create a clinic website with Medicare theme, but you can as well use it for many other types of websites, as it is highly flexible in customization. In any case, quality code, professional SEO and valid HTML5 and CSS3 are the key points that will push your website to top results in search. And yes, it is easy in use! 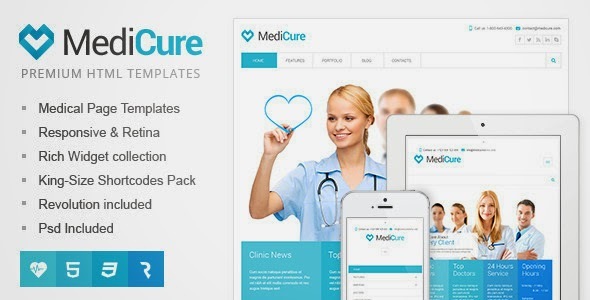 Item Reviewed: MediCure – Health & Medical HTML5 Template 9 out of 10 based on 10 ratings. 9 user reviews.